I am a huge Pretty Little Liars fan, but damn, watching this show is stressful. I watch each episode on the edge of my seat, hoping for some major reveal about A's identity (and, OK, a shirtless Jason scene) only for the show to ask way more questions than it answers. Luckily, the Season 5 finale "Welcome To The Dollhouse" provided some much needed for answers to some of our biggest questions — like, say, A's real name. Charles is Big A, and while that doesn't solve the whole question of A's real identity (curse you, A's seemingly unlimited supply of masks!) it does get us one step closer to cracking the code. So when can we start sleuthing once again? 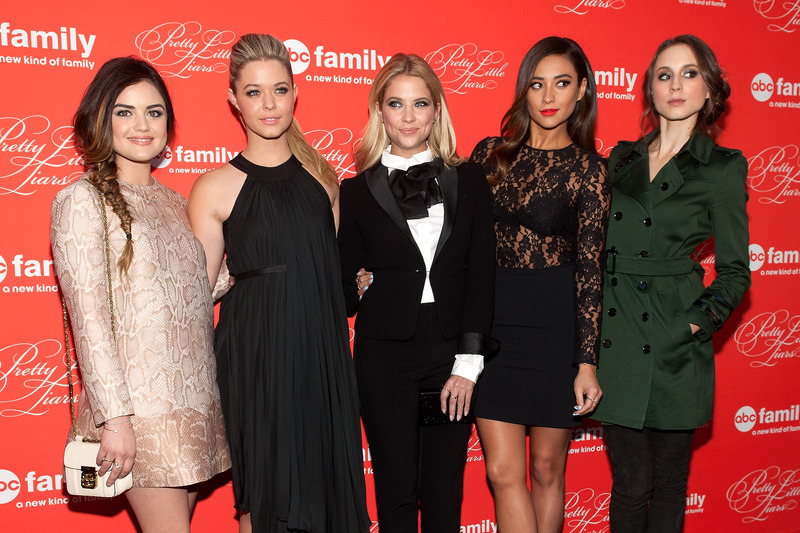 According to Deadline, the answer is sooner than you think: Pretty Little Liars returns June 2 for Season 6. That's the best news I've heard in a while, especially considering that the first half of Season 6 will reveal Charles identity — sans mask — and wrap up the A storyline that began in Season 3. But "who is A?" isn't the only question we have going into the new season. Here's what Pretty Little Liars has yet to answer for us and what we need to know ASAP. RIP, Mrs. D. Who killed Ali's mom? Was it really Charles? Why? Remember when that was something we cared about? It wasn't Ali, right? Was it Charles? Melissa? Tippy the bird?! Why Were There Two Yellow Dresses? Bethany seems like the prime suspect, but even Mona's "ghost" thought that was way too easy. What's The Deal With Andrew? Yep, that's not a weird thing for a high school senior to say at all. Is he on A's payroll? Does his family own the Campbell Farm? This guy is too cute to not be shady. Wren Has To Be Involved In This Whole Thing, Right? Bethany drew a whole bunch of terrifying pictures in her sketch pad, but this one is potentially the freakiest. Could this be Charles being taken away from Radley while Bethany chases after him? Does Jason Know About Charles? I mean, it's at least his brother, right? Why wouldn't he remember him? How Is Cece Drake Involved? She was there the night Ali disappeared and has popped up at particularly convenient times. Could she know the truth about Charles, whatever that is? Who's Really In The Barrel? What Happened To Sara Harvey? Showrunner I. Marlene King said we'll find out what happened to the girl who went missing just around the time Ali did soon. What Secrets Is Ali Keeping? She definitely knows more than she's letting on. Why Does Charles Hate The Girls So Much? Dude should probably get a journal to work out his rage issues. Tune into Pretty Little Liars Season 6 premiere on June 2 on ABC Family.